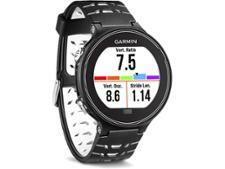 How To Buy The Best Garmin Fitness Watch Or Activity Tracker - Which? If you're not sure whether a Garmin Vivo, Fenix or Forerunner fitness watch or activity tracker is for you, then our expert guide can help. When shopping for a new fitness watch or activity tracker, you're sure to come across Garmin devices - we've challenged more than 25 Garmin wearables in our tough tests. They range in price from less than £70 right up to more than £700, and have a wide range of features, so just how do you choose a great Garmin? With watches and trackers aimed at casual everyday step tracking, through to advanced multi-sport devices designed for the performance athlete, it can be difficult to balance the money you spend with the features you actually need. In this expert guide, we take a look at what features you can expect from the different Garmin fitness watch and activity tracker series, and we reveal the very best Garmin devices from our testing. Only logged in Which? members can view our top five Garmin devices in the table below. If you're not yet a member, you can get instant access by joining Which?. 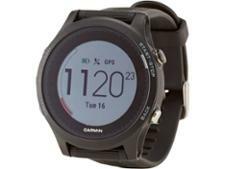 There are three main Garmin fitness watch and activity tracker series - Forerunner, Fenix and Vivo. There's also the Approach series of Garmin golf watches, too. All Garmin wearables pair with the Garmin Connect app on your Android smartphone or iPhone. All of the models within the Forerunner series, including the basic Forerunner 25, mid-range Forerunner 235 and high-end Forerunner 935, come with built-in GPS that's designed to help runners track their route without needing their smartphone. Most have a wrist-based heart-rate monitor too, apart from the basic Forerunner 25. Unsurprisingly, the more you spend on a Forerunner fitness watch, the more tracking features you get - although we've found that price is no indicator of performance or accuracy. All Forerunner models track steps, calories burned, distance travelled and come with at least some run-specific metrics, such as lap tracking. High-end models are equipped with plenty of advanced options, including using preloaded running or outdoor exercise profiles, tracking the effectiveness of your training, recording the percentage of time spent at your maximum heart rate, and calculating your performance condition. This will come with a hefty price tag though, and you'll need to spend around £300. If you just want to track the occasional run or everyday activity, then one of the entry-level Forerunner watches will be sufficient. All of the Forerunner series are waterproof to 50 metres, meaning you can use them when swimming in the pool, although only the high-end devices - such as the Forerunner 645 - come with swim tracking metrics. There are only a handful of models in the budget-busting Fenix range of smartwatches, but these pricey models are packed to the brim with advanced tracking features. They all have a classic round watch face style design, but are also some of the chunkiest Garmin devices so wouldn't suit everybody. Features of the Fenix range include built-in GPS and a heart-rate monitor, preloaded running, gym and outdoor activity profiles, cadence tracking (number of steps per minute), monitoring your performance condition, and tracking of heart-rate zones and maximum heart rate. 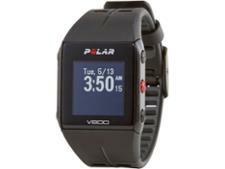 You can also monitor your recovery time, which is useful for tracking improvements in fitness. If you're a keen trail runner or hiker, then features such as climb tracking, total ascent and descent and barometric trend indicator with storm alerts will come in handy. The Fenix series would suit swimmers, too, as all models within the range come with both pool swim and open water swim metrics (such as pace, stroke count and rate). There are a variety of devices with the Vivo range of trackers, including the Vivofit 4, Vivosmart 3 and Vivosport activity trackers. The majority of the series are band-style trackers with small rectangular screens. As with the Forerunner series, the features you get will come down to how much you spend. Entry-level Vivo devices will track steps, calories burned, distance travelled and sleep. You'll also be able to set goals, and get move reminders after periods of inactivity. They don't have built-in GPS or a heart-rate monitor, though, and you won't be able to use any preloaded running or gym profiles for training. Mid-range Vivo activity trackers will have additional tracking metrics, such as heart-rate monitoring and VO2 max estimates. They will also come with preloaded run profiles, and all-day stress tracking. At the top of the Vivo range, you can expect a device that has built-in GPS and GLONASS, designed to improve the speed and accuracy of location tracking, plus a built-in heart-rate monitor. High-end Vivo watches, such as the smartwatch style Vivoactive 3, come with a wider range of preloaded run or exercise profiles including more options for outdoor activities. You'll also get more detailed analysis of your data in the app, plus golf, cycling and swim tracking metrics. If you're unsure whether a Garmin fitness watch or activity tracker is for you, you may also be considering a Fitbit wearable. To find out how these two brands compare, see our guide to Fitbit fitness trackers vs Garmin fitness trackers.